As promised, here is the remainder of my ‘capsule’ wardrobe that I put together to take to Paris this September. I am sure that I packed far too many items for it to have been a true capsule wardrobe but, for me, this is restraint at the highest level! Anyone who knows me will agree that this is my version of minimalism. See? Restraint is my middle name. 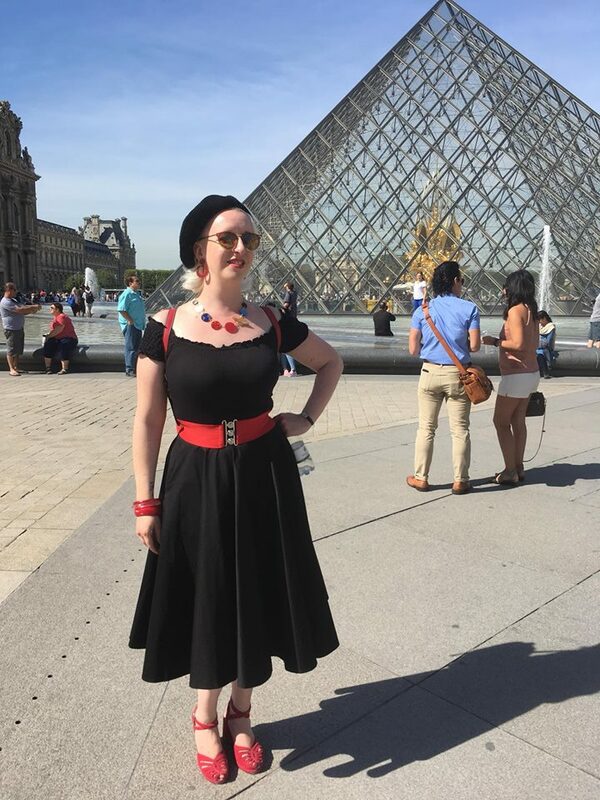 When we arrived in Paris, we headed over to The Louvre to enjoy the art collection. Big f*ing mistake! Alas. I can think of nothing sadder than queuing to see the Mona Lisa only to flip your camera around and take a selfie with it. Firstly, it’s not even that good of a painting in comparison to everything else even in that one room of the Louvre. Secondly, that would score in the 90s on Pointless if they asked 100 people to name a piece of art. There is something very basic in this behaviour. It needs calling out and ridiculing for it to ever change. If you’re not interested in art, that is absolutely fine – I am genuinely not judging – just maybe don’t clog up the Louvre for everyone who is. Also, it was over 30 degrees outside, which makes me a bit grumpy. This may explain a great deal! I was also wearing all black. The sunflowers cheered me greatly and were worth melting for. 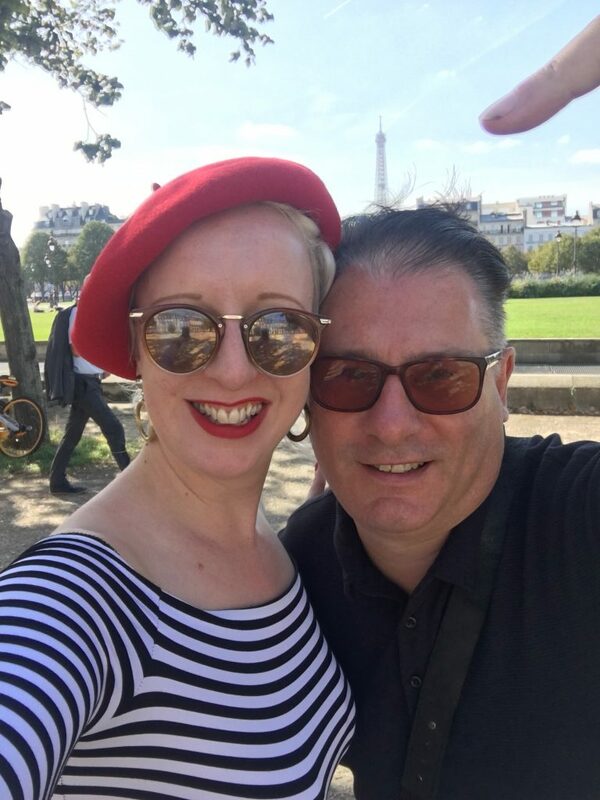 The following day we headed up to my favourite Parisian tourist trap; we went up the hill to Montmartre. 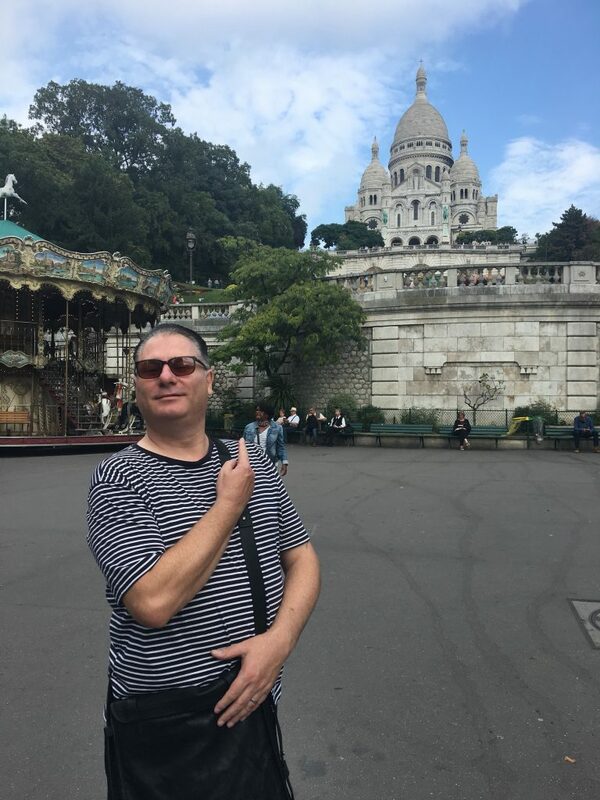 Chris even got in on the posing action as it was on the steps of Basilica du Sacré-Coeur that he asked me to marry him back in 2010. We headed back to the scene of the crime like a pair of old romantics! I love this man. 2010, 2018, whenever forever. 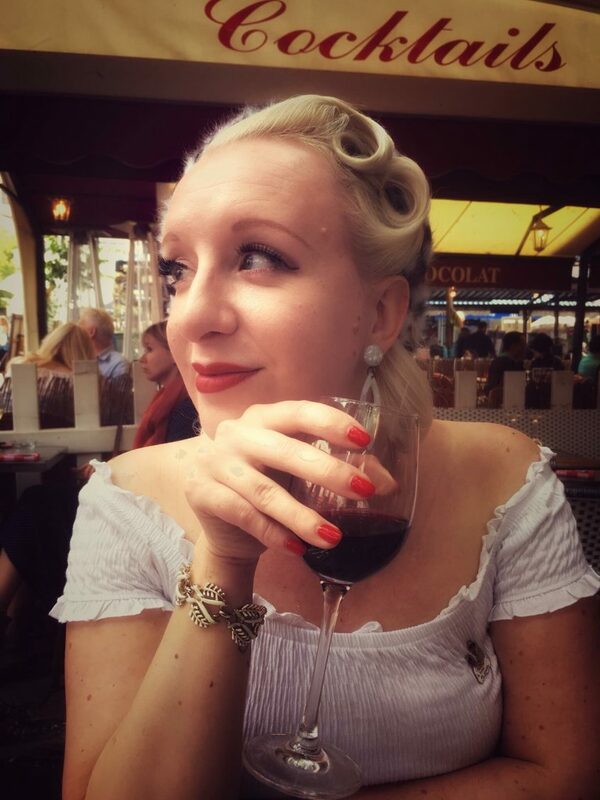 After we got engaged, we celebrated with cheese and wine in the busy cafes at the top of Montmartre. I know that this is all laid on for the tourists but I love it up there. 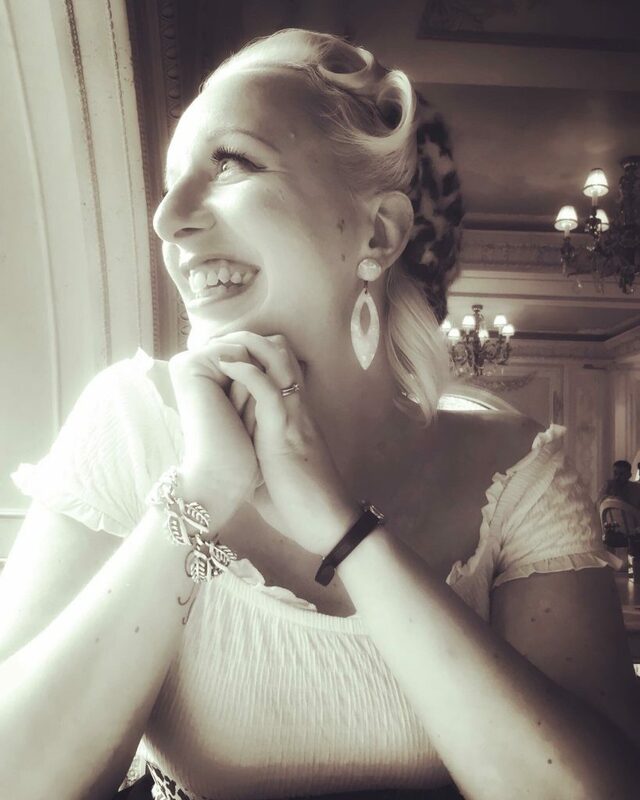 I love being asked if I would like my portrait drawn (though I would never say yes in a million years because I would be terrified of the result!) and I pretend that they are just asking me… like I am some kind of muse, like they think I’m that special. We went up to the same area that we ate in years ago and shared a bottle of red with a baked Camembert. Chris snapped me as I watched the world go by. Having exhausted the tourist traps, I wanted a little slice of somewhere less obvious. I asked the wonderful Olivier Briault, head chef at The Edgbaston Hotel, pedigree patissier (3rd generation in his family! ), and firm favourite at Foodies Festival for some tips. 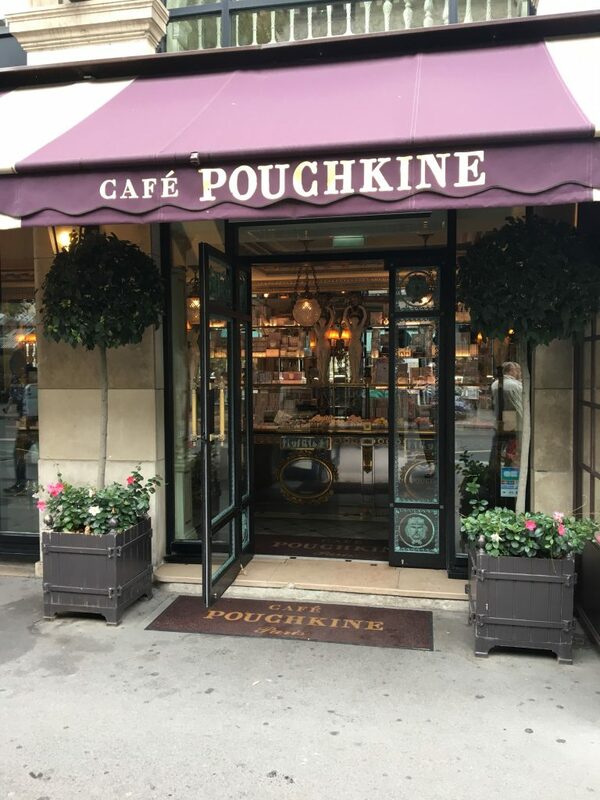 Olivier kindly recommended Cafe Pouchkine, near Place de la Madeline, which was exactly what I wanted! 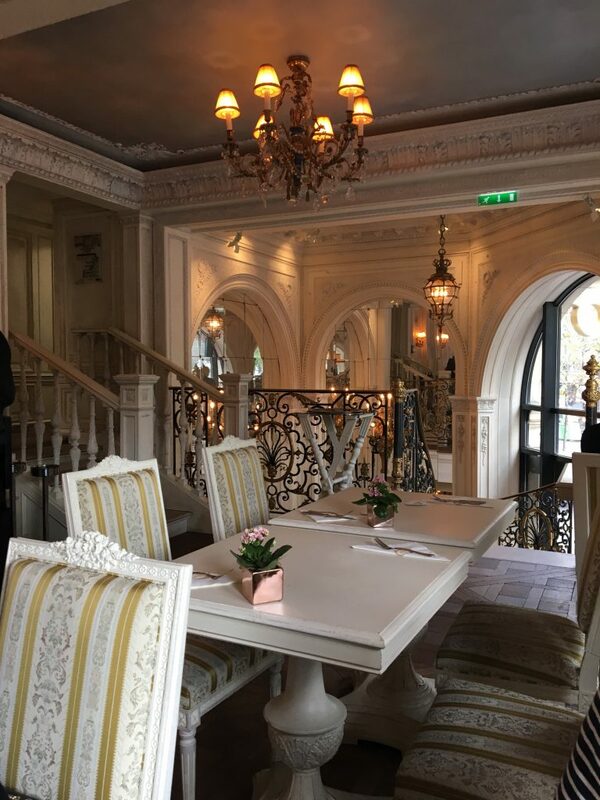 A Franco-Russian tea room with all of the style that you would expect from a culinary clash of these two cultures. 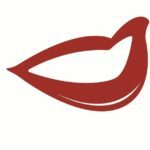 Click to visit the Cafe Pouchkine website and fall further in love. 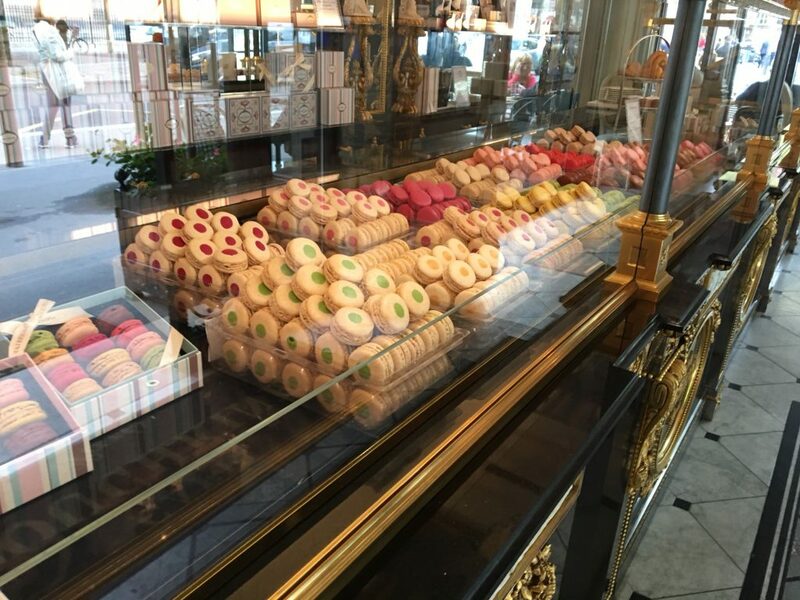 The stunning tearoom is the perfect spot to relax and enjoy great patisserie and a really good cup of tea – sorry Paris, you’re not generally speaking the best at tea. Cafe Pouchkine has excellent tea. 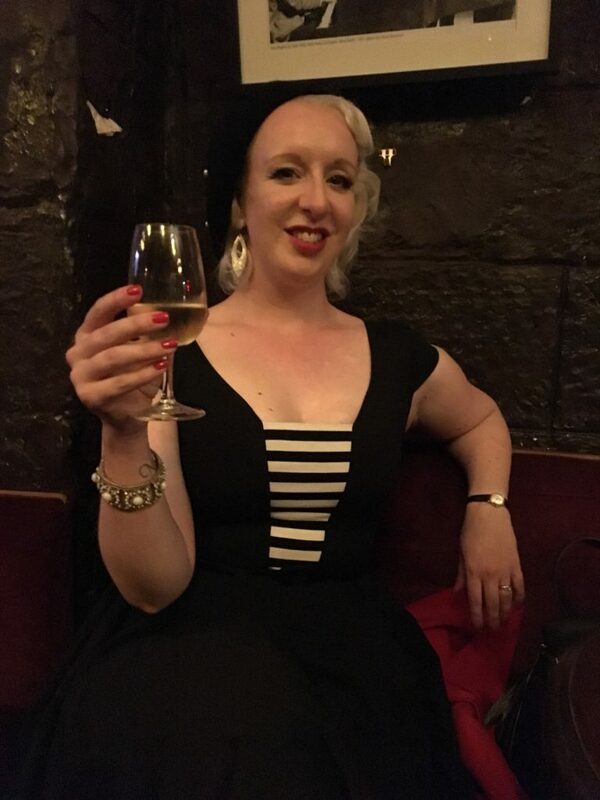 As an extra Parisian treat, we went out to famed jazz club Caveau de la Huchette (featured in the film La La Land) for an evening of amazing swing jazz. 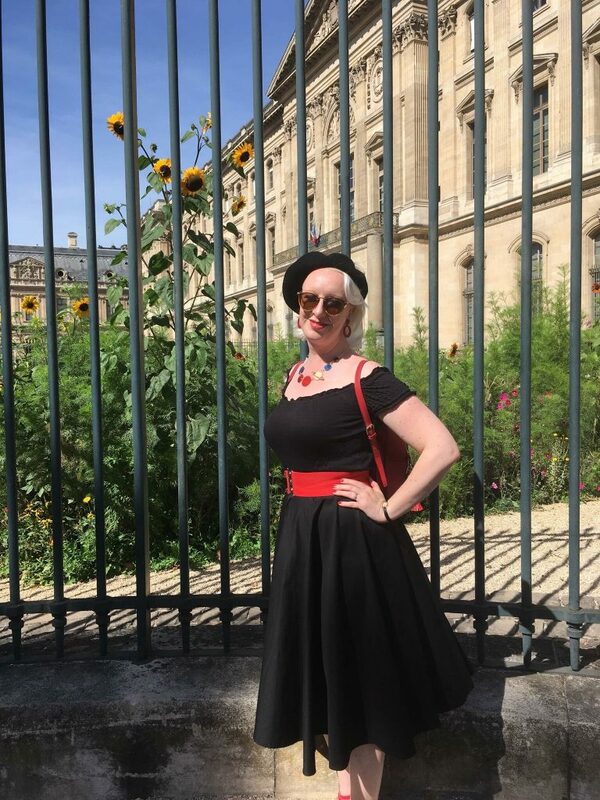 For the occasion, I wore the Parisian dress of dreams that I picked up from Glamour Bunny. It’s so often the case but a night out in a dark club means very few photos of said dress of dreams. Plus, I hold my hands up that I am far more likely to be throwing myself into the evening than worrying about taking photographs in low light. 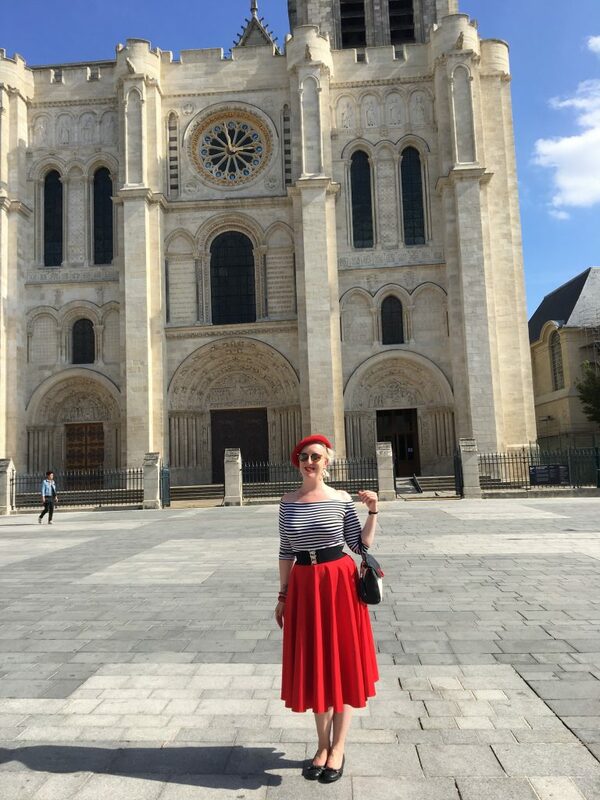 We spent our last day in the city on a mini-pilgrimage to the Basilica St Denis. 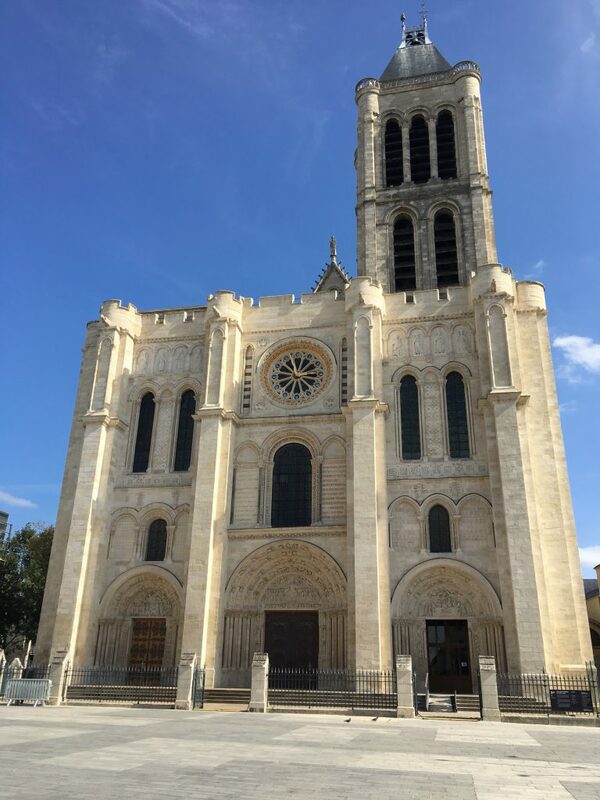 This was the burial place of all of the Kings of France, as well as their Queens and many members of the royal families… until the revolutionaries exhumed all of the bodies and chucked them into a mass grave. Not cool, guys. Not cool. St Denis is now home to a collection of the effigies that were created to sit atop the mortal remains. For some reason, the art of some of these survive. Anything that could be melted down was melted down – any caskets made from precious metals were gone – but the art in marble and stone can still be seen today. It’s a beautiful, quiet place far, far from the tourists. I know that we were tourists but you know what I mean! 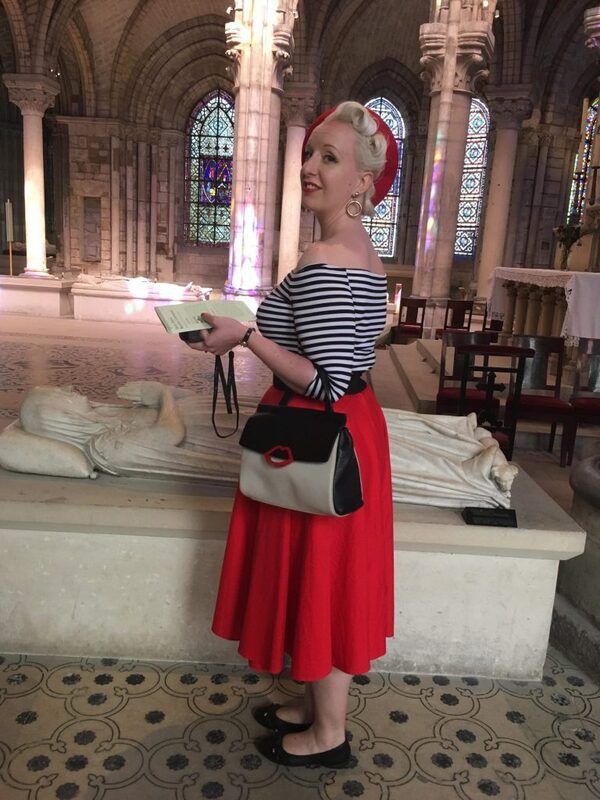 I brought out the big guns for my last day in Paris – bring on the stripey tops again! This was a bargain from a website called Dolly & Dotty who had this mad sale and I picked this up for £7. It’s not the thickest material but it was still really hot out. Look at that sky! You’ve probably guessed that I have no aversion to wearing clothes close to my skin! These Gloria tops are really inexpensive, which is great but the fabric is very thin as a result. I feel funny about taking photos in places of worship so there are not many. Chris did snap this one of me with guide leaflet and audioguide in hand! I am very much in my happy place when in pursuit of dead Kings. 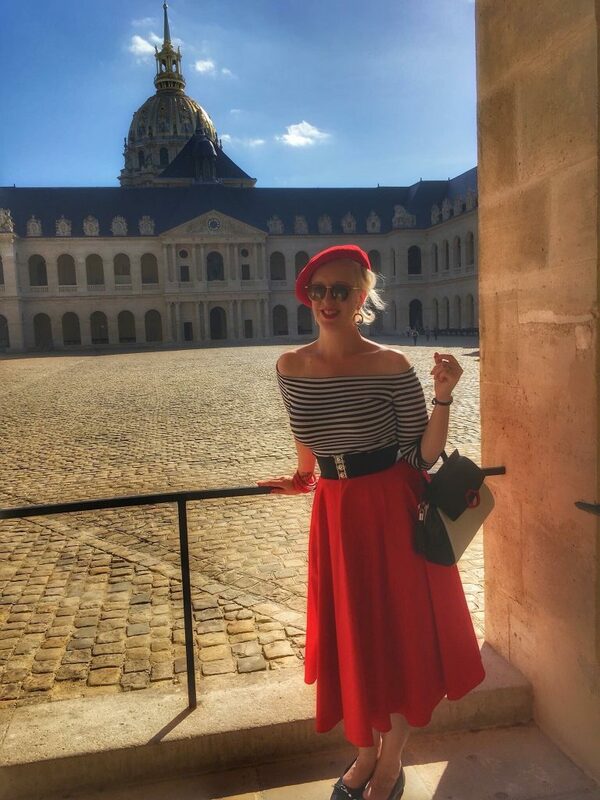 Rather than spend a couple of hours at Gare du Nord, we squeezed the very last out of our time with a quick visit to Les Invalides, the military hospital founded by Louis XIV. It was so hot that the courtyard was a risky place for a pale soul such as mine to venture! BOOM I’d burst into flames in that sunshine. I had fun playing with a capsule wardrobe and have fallen in love with separates as a result. I can honestly say that I think under £60 for a skirt or a pair of trousers from Vivien of Holloway is an investment. As an aside, I would say that even though the washing instructions say Dry Clean Only (my least favourite words in the English language) I have washed my skirts and pedal pushers in the machine on a 30 minute, 30 degree gentle wash with handwashing detergent and all have come up lovely. 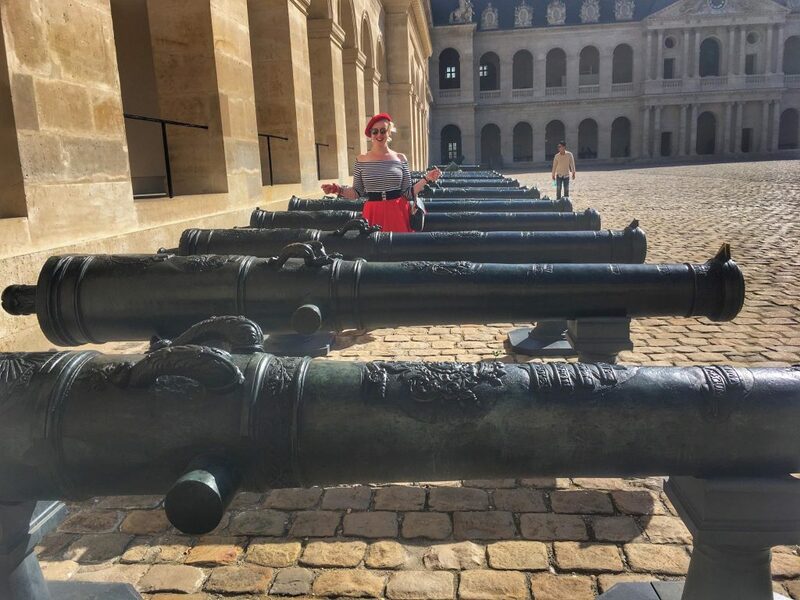 Chris sent me out into the sun to pose with the big guns. Don’t mess with me! Because no trip to Paris would be complete without a shot of the Eiffel Tower… here you go! All the love in the world to my darling husband and official photographer, Chris White. Thanks for taking me to Paris and Versailles again. Can we go back soon? I promise not to buy a whole new wardrobe if we go in the next two years. After that, all bets are off.